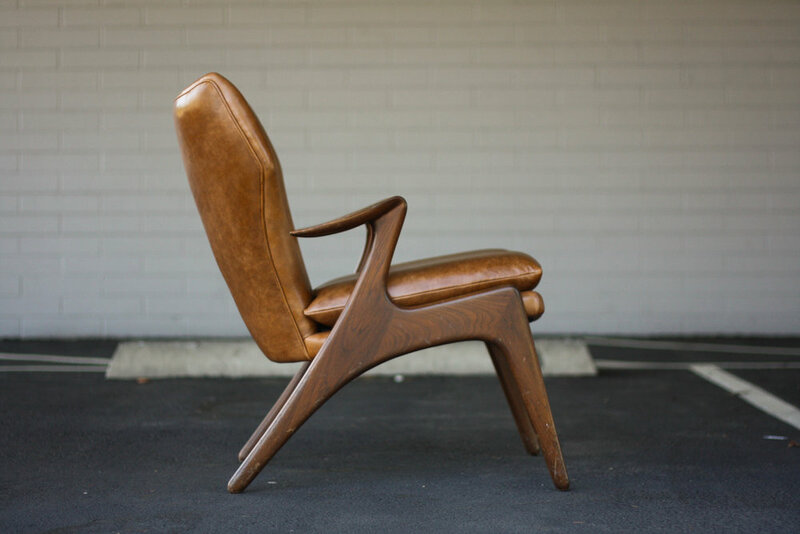 Check out this amazing lounge chair by Kurt Ostervig in solid oak with the most buttery smooth Caramel leather upholstery. The form can be described no other way than curvaceous, the head rest is fairly wide and curves inwards. 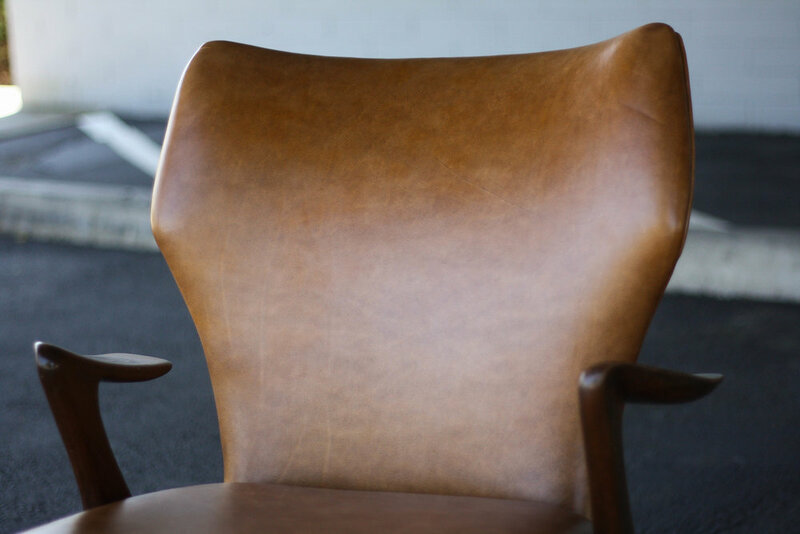 The back of the chair narrows in creating a sculptural look. The arms are scooped and are not connected to the back creating a stunning floating effect.